Summary: A new study reports those who actively pursue happiness often feel as they don’t have enough time in the day to achieve their goals, resulting in them feeling less happy. People generally like to feel happy, but achieving a state of happiness takes time and effort. Researchers have now found that people who pursue happiness often feel like they do not have enough time in the day, and this paradoxically makes them feel unhappy. Aekyoung Kim of Rutgers University in the US and Sam Maglio of the University of Toronto Scarborough in Canada have investigated this effect in a study in the journal Psychonomic Bulletin & Review, which is published by Springer and is an official journal of the Psychonomic Society. Kim and Maglio conducted four studies in which they investigated how the pursuit of happiness as well as the state of being happy influenced people’s perception of time. Pursuing happiness caused the participants to think of time as scarce. In the studies, some participants were either instructed to list things that would make them happier or asked to try to make themselves feel happy while watching a dull movie about building bridges, thus demonstrating happiness as goal pursuit. The other participants came to think of happiness as a goal that they had already accomplished, achieved by watching a slapstick comedy (rather than the bridge movie) or listing items showing that they are already happy. Afterwards, all participants reported how much free time they felt they had. The researchers’ main findings showed that a person’s perception of time scarcity is influenced by their pursuit of (often unattainable) happiness. The feeling that time was scarce lessened for participants who maintained that they had attained their goal of being happy to some degree. “Time seems to vanish amid the pursuit of happiness, but only when seen as a goal requiring continued pursuit,” explain the researchers. 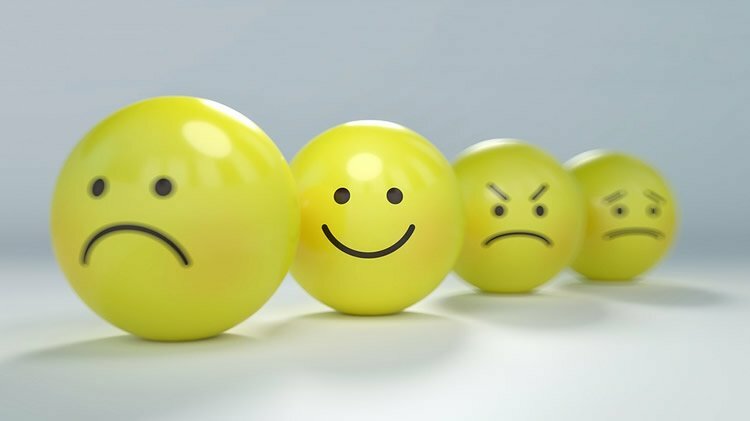 “This finding adds depth to the growing body of work suggesting that the pursuit of happiness can ironically undermine well-being.” According to the researchers, the findings imply that while happiness can impair positive emotions, it need not necessarily do so. Instead, if someone believes they have achieved happiness, they are left with the time to appreciate this, for instance by keeping a gratitude journal. The research further underscores that people have different concepts about happiness, which in turn may well influence how they perceive the time they have to achieve happiness. The researchers’ main findings showed that a person’s perception of time scarcity is influenced by their pursuit of (often unattainable) happiness. The feeling that time was scarce lessened for participants who maintained that they had attained their goal of being happy to some degree. NeuroscienceNews.com image is in the public domain. Original Research: Abstract in Psychonomic Bulletin & Review. Springer “Is the Pursuit of Happiness Making You Unhappy?.” NeuroscienceNews. NeuroscienceNews, 13 March 2018. Springer “Is the Pursuit of Happiness Making You Unhappy?.” http://neurosciencenews.com/pursuit-happiness-unhappy-8624/ (accessed March 13, 2018). Happiness can be conceptualized as a positive affective state or as a goal whose pursuit ironically pulls the pursuer away from achieving it (Mauss, Tamir, Anderson, & Savino in Emotion, 11(4), 807–815, 2011). But how do people think about time during this latter, never-ending pursuit of happiness? The present investigation asks how seeking happiness influences perceptions of time availability. Four studies demonstrated that trait-level happiness seeking (Study 1) as well as direct manipulation of happiness seeking (Studies 2, 3, and 4) consistently reveal the same pattern: reduced feelings of time availability while pursuing happiness. This negative effect on time availability is mitigated when happiness seems like it has been achieved (Study 2) or seems quick to achieve (Study 3). In addition, pursuing happiness can ultimately decrease happiness, in part, by reducing perceptions of time availability (Study 4), extending theories on happiness, goal pursuit, and perceptions of time. Concepts are tricky things to pursue!